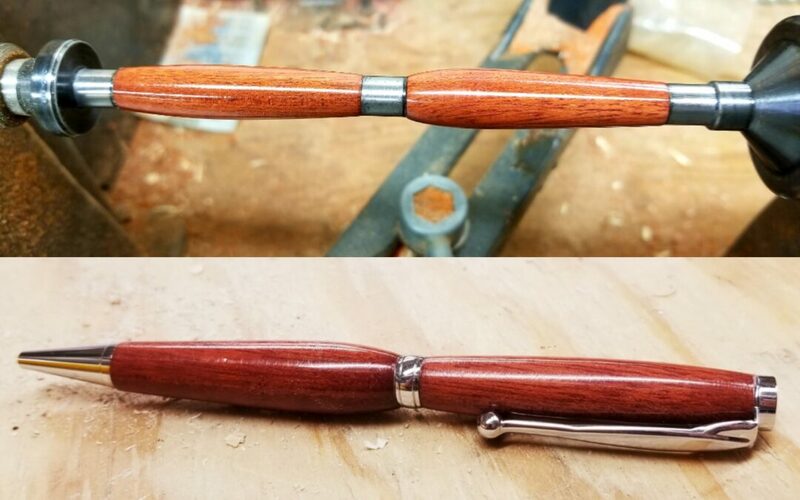 Learn the basics of turning a pen on the wood lathe. The pens made in this class will be offered to the students for $7.90 each. We will make between 2 & 4 pens. Wear short sleeve shirt, full length pants, & shoes that cover your entire foot.